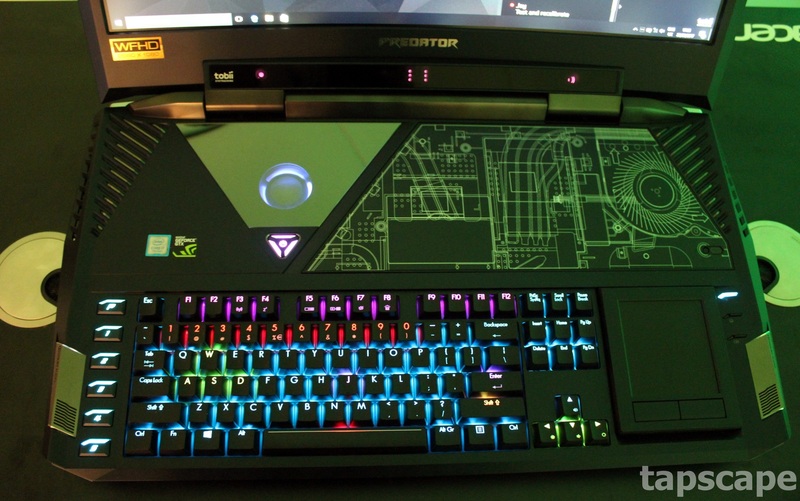 The Acer Predator 21X is the worlds most powerful & the most ridiculous gaming laptop. Acer Predator 21x comes with a 2-inch curved screen features 2560×1080 pixels resolution with NVIDIA G-SYNC to ensure smooth and incredible gameplay. The Acer predator 21x is powered by Intel core i7 with latest 7TH generation processors with not 1 but with 2 NVIDIA GeForce GTX 1080 GPUs for super smooth high-end unmatched graphics performance. The Laptop weighs 8KG heavy but worth it, with 4TB SSD and 64GB DDR4 RAM Woah that’s a lot of memory and storage space for you to utilize. But ACER Predator 21X’s battery life is kinda disappointment after a test of this beast the results were quite disappointing because this beast only stayed on for 1hour and 51 minutes. Its important features also contain Tobii eye-tracking it is integrated into the laptop, it let you Aim through your eyes making it easier for gamers to play. This beast laptop has not 3 not 4 but 5 cooling fans to keep the temperature balanced. If we talk about its colorful attractive keyboard, the keyboard comes with Cherry MX switches & RGB lighting under each key is just awesome. 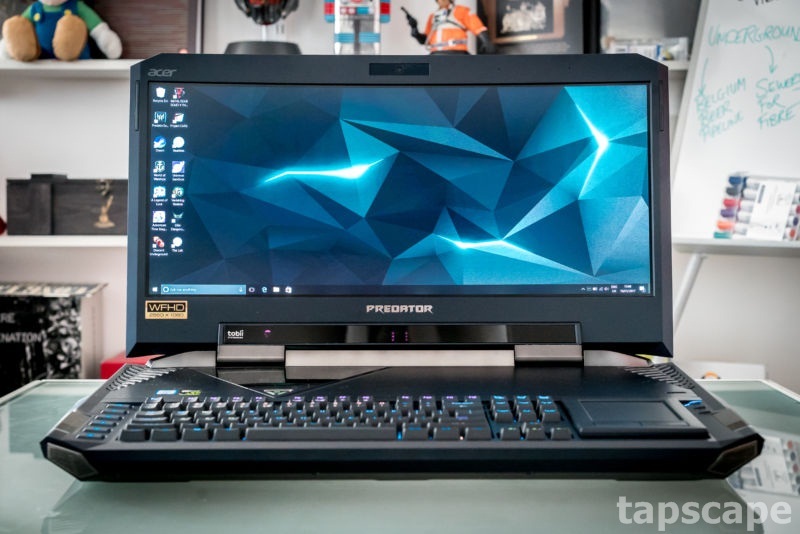 The Acer Predator 21x have so many interesting and unique features such as removable side panel that can convert into a trackpad to a number pad when needed. As far as the audio properties are concerned. The Acer Predator 21x comes with a SoundPund 4.2+ (2 subwoofers and 4 speakers) Dolby Audio sound technology 3-way audio. 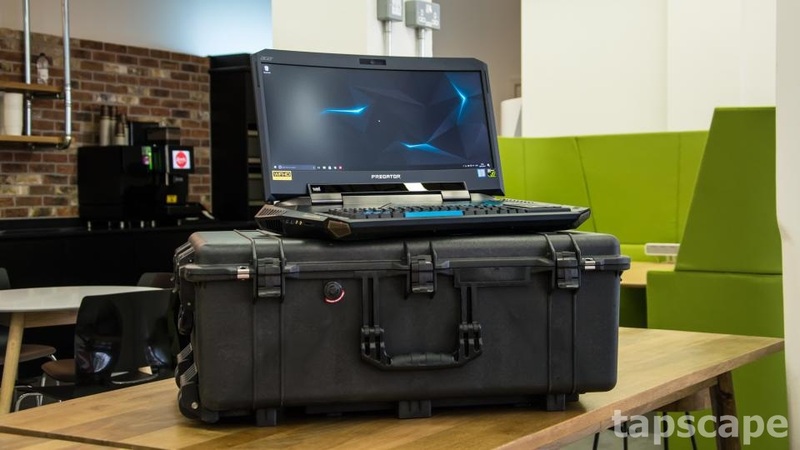 This Beast laptop comes in a huge (Black solid tough looking SuitCase).